In the video, she encourages you to imagine your office space as a target, with you in the center, the items you use most frequently in the inside ring, and the items least used in the outside ring. If you use your printer every day, keep that close to you. If you don’t find yourself using sheet protectors very often, store them further away on your desk. Shae suggests that you use a three tier inbox on our near your desk with the labels “Action”, “To File”, and “To Mail” and only fill these files with papers that you’re using at that time. 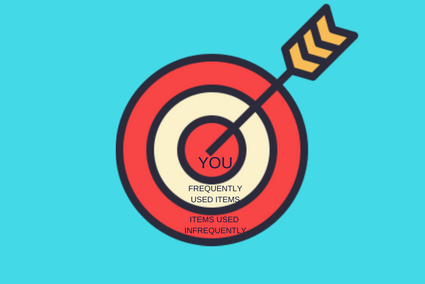 As far as what you keep on top of your desk, only keep minimal and essential items like your phone, pens and pencils, post-its, and or a stapler. 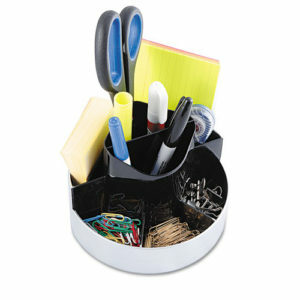 Office supplies that you don’t use as often can go in your desk drawers, provided that you have drawer organizers. 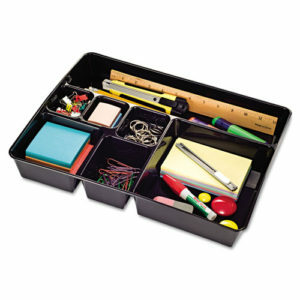 Extra or infrequently used office supplies should be kept in a supply room or supply closet. 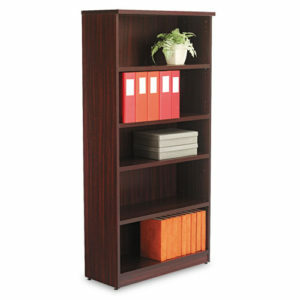 If your business has a lot of books and binders, Shae recommends that you keep them on a bookshelf or install shelves in your office. Finally, the professional organizer urges that if you make a lot of lists and notes, that you be sure to pick a place to keep them– whether that’s a notebook, an app, or on your computer. You can watch the video from Mission 2 Organize below. At AMO, we offer all of the supplies that Alejandra lists in her video. Shop these products by logging in or signing up for free! 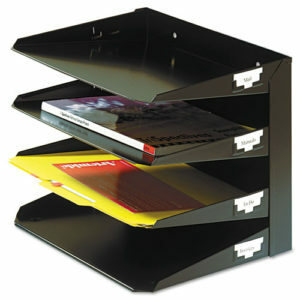 If you like articles about keeping organized, be sure to check out this post and this post. Have any other tips on keeping your desk organized? Leave a comment below.